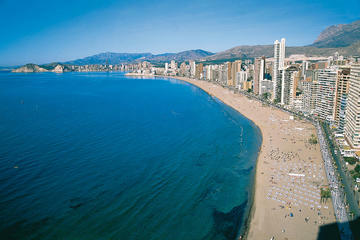 Unwind and rediscover the magnificence of Alicante, one of the most popular holiday destinations. We bring you the Top Recommended Things to do in Alicante. Your dream vacation promises you picturesque views, cultural and tourist attractions and brilliant architecture. Experience the thrills of exploring the city on segways, and indulge in kayaking. Explore the best hot spots, historic-artistic sites, and feel the local atmosphere with the fabulous sea-breeze. 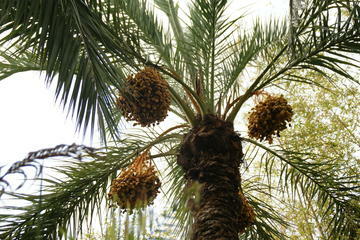 The well-planned tours and excursions make your trip truly enjoyable. Read more about the top tours and enjoy your vacation with your family, friends, as a couple or with colleagues. Private tour through the fortress of Alicante. To begin this experience, a tour guide who will teach all the anecdotes that occurred within the walls of this castle. After that a typical lunch of Alicante will be waiting for you in front of the most beautiful views of the bay. 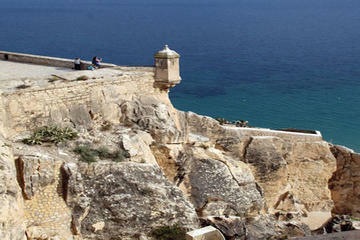 Indulge in the hot spots of the breathtaking coastal city Alicante on a three-hour segway tour. Experience the local atmosphere with the guide regaling historical and cultural tips as you pass through the Old Town area absorbing the main city landmarks. Explore the beauty of the beach and port areas, traversing through the main promenade and a centrally located urban park. 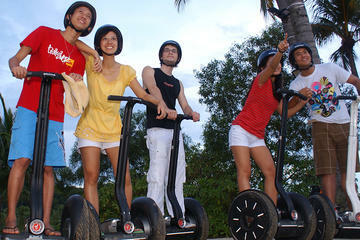 The excitement of riding a segway and the splendour of the sun and sea breeze awaits you in Alicante. 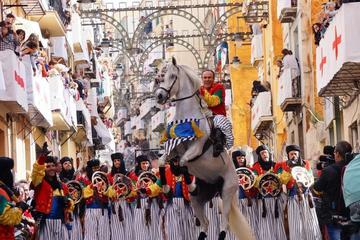 Indulge in the history and culture of the city of Alcoy as you disembark from Alicante on a 5-hour excursion. As you travel with the guide, visit the Museum of Festivities which remarkably displays the history of the Moors and Christians festivities. Explore the beautiful church of Saint George, patron saint of the local festivity and admire Santiago Calatrava’s construction Llotja de Saint George that simulates a dragon’s skeleton. Enjoy a walk with your family on the streets where the local festivities’s parade traverses. Experience the grandeur of Alicante city as you discover the city centre and the city of Elche, a World Heritage City on a full day tour. Indulge in the two UNESCO World Heritage Sites of Mankind, the Palm Grove offering stunning views of the Mediterranean and the Basilica of Saint Mary which stages the Mystery Play annually. Visit the beautiful Santa Barbara’s Castle, the St. Nicholas Co-Cathedral, the Baroque Town Hall, the Modernist Casa Carbonell and more. Enjoy the trip with your family. 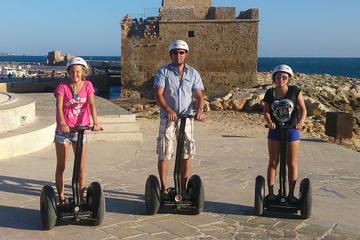 Experience Enjoy the magic of the sunset in Alicante’s Old Town on a 1-hour Segway tour. The tour is a perfect romantic getaway for couples. The excitement of discovering the city on a segway grows as you visit the hot spots of the city centre, the maritime district and harbour. The local guide infuses the history and culture of the region. Enjoy the sights illuminated at night and capture some mesmerising pictures of the coastal city. 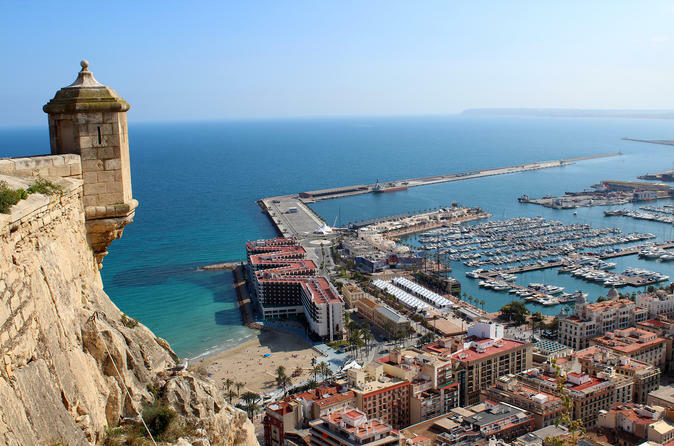 Experience the panorama of Alicante and enjoy its beaches, the cuisine and local festivities like The Bonfires of San Juan on a 4-hour private shore excursion. The local guide will lead you through remarkable buildings like the bullring, the central market, the Stars square and the Santa Bárbara’s Castle nestled on Mount Benacantil. Visit the lively Santa Cruz neighbourhood and traverse the historical buildings like the Cathedral, the Town Hall and the Carbonell House. Stroll with your small-group on the pedestrian street, Spanish Esplanade. Head to popular tourist destinations of Guadalest and Benidorm from Alicante on a 5-hour excursion. Travel with your guide to Benidorm admiring the Mediterranean Sea views. 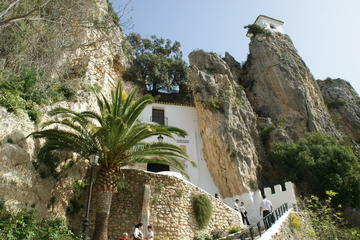 The ‘Eagle’s Nest’ Guadalest, declared a Historic-Artistic site has a remarkable Arab origin architecture. Discover the castle of San José which is accessible through an exciting tunnel. Visit the old prison inside the Town Hall and drop by at the town’s main square for some souvenir-shopping. 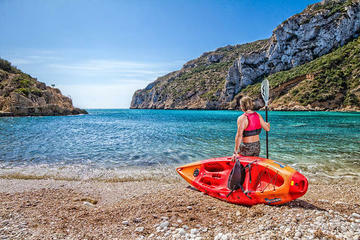 The thrills of kayaking await you on a guided tour of Playa de La Granadella situated in the Jávea town. Enjoy the spectacular beaches, the crystal clear waters and virgin coves as you paddle into the caves of Cova del Llop Mari and Cova del Nao. The tour is offered multiple times through the day and is a perfect family getaway. Enjoy the ride and even if you have no previous experience your enthusiasm will complement the kayaks by Perception. Connect with nature on a shared walking tour of two hours in Benidorm, one of the major tourist destinations in Costa Blanca. An ideal family getaway where you can unwind and admire the two magnificent beaches, Poniente and Levante. Visit the Balcón del Mediterráneo (balcony over the Mediterranean), which offers spectacular views of the sea. Enjoy the small-group tour with a professional guide and indulge in the Mediterranean treat which is excellent value for money.